Hosting flexibility – Microsoft offers a unique level of flexibility to SMBs on how and where to host their applications, whether on servers or in the cloud. 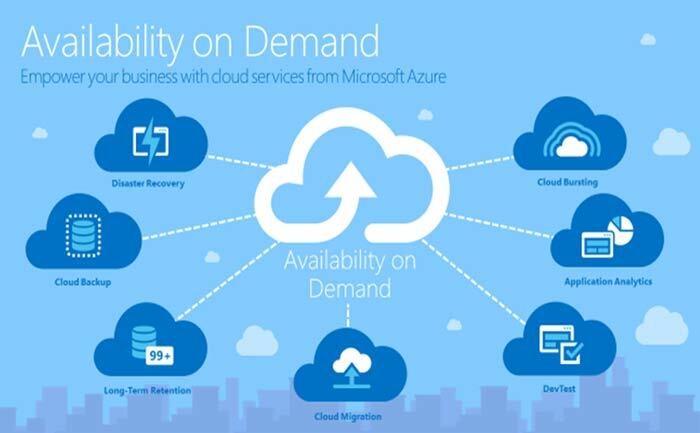 You can host apps on Microsoft Azure’s fully managed cloud infrastructure. This offers the benefits of fast deployment and no capital expense for server hardware. With Azure, you pay only for resources you use. Scalable – you can scale applications up or down as needed to meet changing demand. Remote Access – once applications are hosted in the cloud, it is easy to enable remote and mobile access for your employees, so the right people can get to the applications they need from anywhere. Continuous Uptime – when it comes to protecting your data and making sure things stay up and running, you can have the peace of mind that your Azure-hosted applications will have continuous uptime with Azure’s 99.95% monthly SLA.